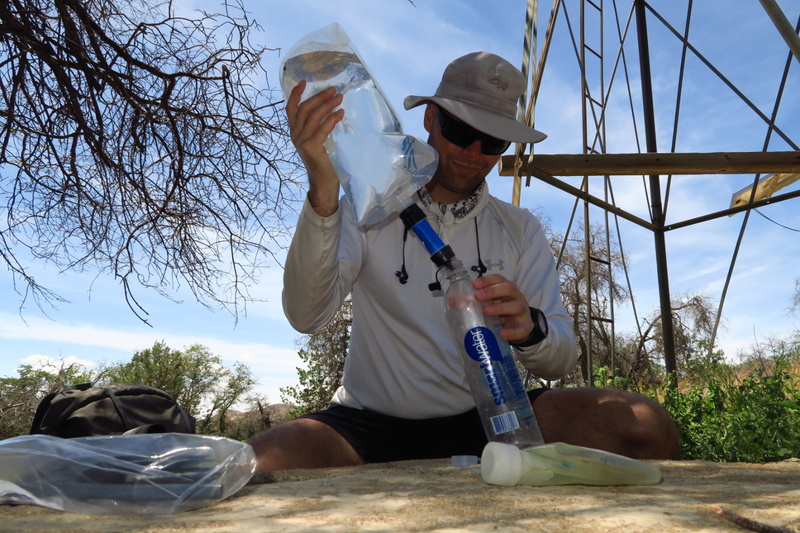 OK, so you’re going backpacking and you’re trying to decide which water filter to get? 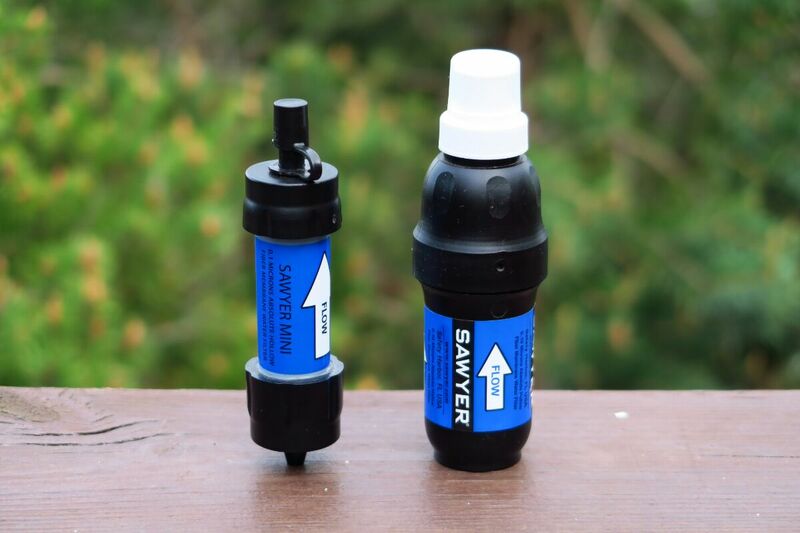 Sawyer makes two of the most popular lightweight water filters for hiking, the Sawyer Mini and the Sawyer Squeeze? I own and have used both of them. Let me tell you which one I would carry. The filters fit popular water bottles like Platypus and Smartwater bottles, or they can be used together with the gray water pouches that they ship with. Both filters use a 0.10 micron hollow fiber membrane, which Sawyer claims to remove 99.99999% of all bacteria such as Salmonella, Cholera and E.coli, and 99.9999% of all protozoa such as Giardia and Cryptosporidium. The filters do not remove chemicals. The Squeeze was more than a minute faster per liter. Almost three times the flow rate of the Mini. That’s a huge difference! Especially out on the trail where you have use force of hand to apply pressure. Also keep in mind that the smaller size of the Mini means that it clogs up quicker, and that you have to back-flush it more often just to maintain the baseline flow rate. I carried the Mini for the first part of the Continental Divide Trail, but found the poor flow rate extremely frustrating in daily use. Once I was done with the New Mexico section I decided that the Sawyer Mini just wasn’t worth the carry and I shipped it out. 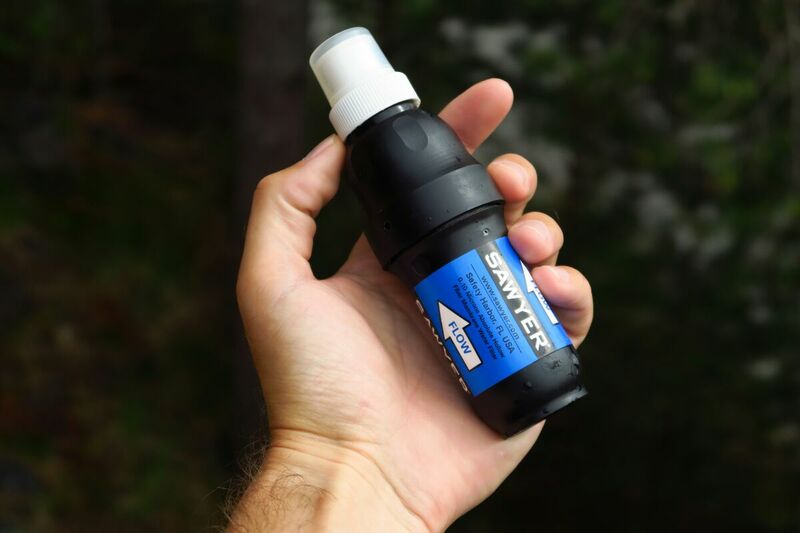 When I went out on the Hayduke Trail and once again needed a water filter I decided to give the Sawyer Squeeze a try. Going from the Mini to the Squeeze was like going from night to day. Where as the Mini was nothing but a cheap excuse for a water filter, the Sawyer Squeeze was actually able to output an acceptable stream of water, and I found it a lot less frustrating. 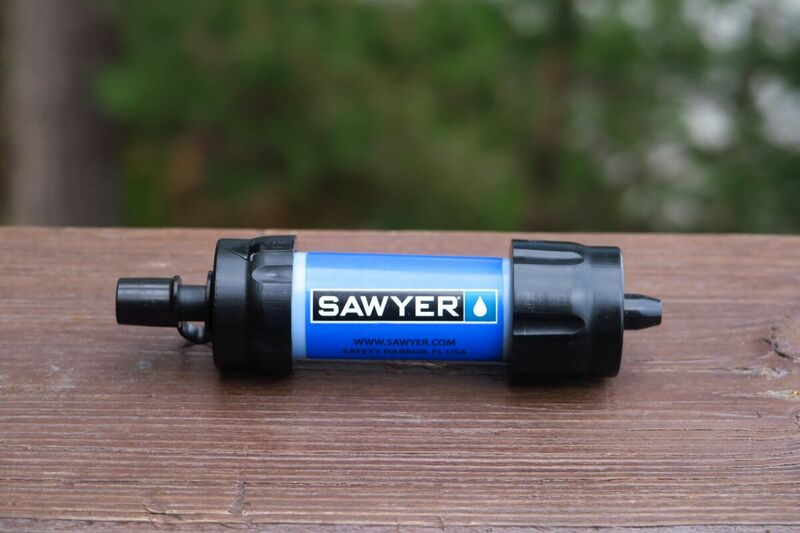 Although lighter, smaller and cheaper, the extremely low flow rate of the Sawyer Mini makes it useless as anything but an emergency filter. 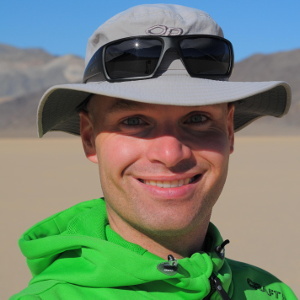 The much higher flow rate in the Squeeze is worth paying the extra $15 and carrying the extra 41 grams (1.4 oz). 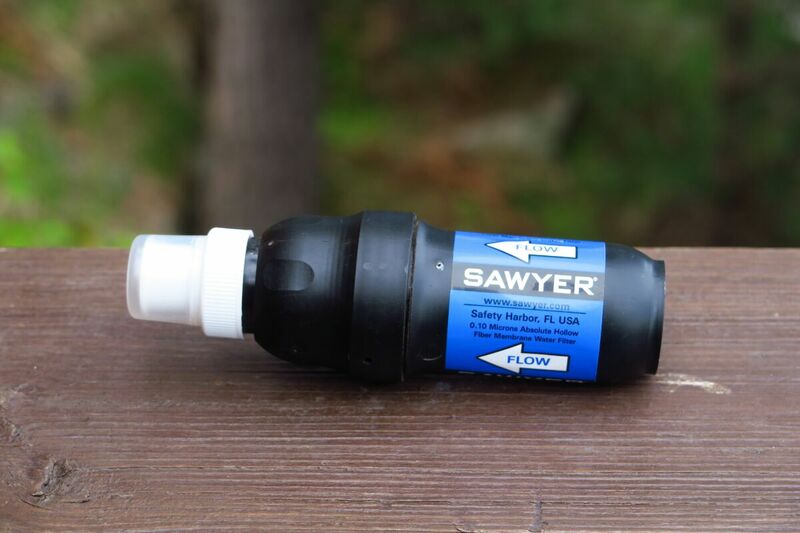 When I go hiking and need a water filter I’ll bring the Sawyer Squeeze.